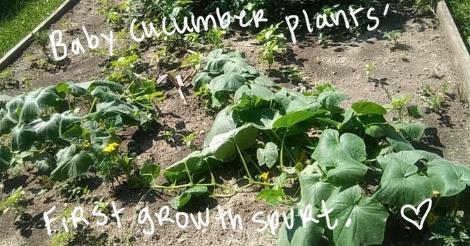 As lovers of gardening, we have little plots outside with some vegetables. 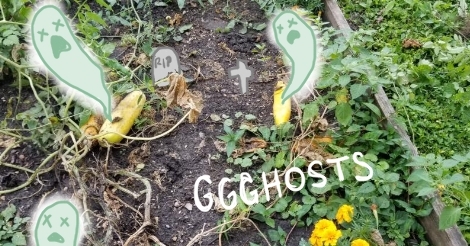 Some that we tried to grow were eaten by squirrels, tiny birds, and that one big fat groundhog. But others did survive. 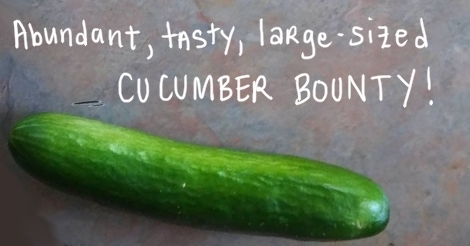 Here is a tale about cucumbers, my friends. Our very first step was to pick some of the cucumbers, which was daunting enough a task that I came back injured, rained on, and itchy. Did you know that our yard is home to chiggers? Haha right here in the city! Such natural splendor. Anyway I managed to do it! The ones in our garden are huge, presumably from the way the season’s been going and the amount of rainfall we’ve had, combined with our very dry clay-like soil. But we’re not scientists! We’re hardly even farmers. 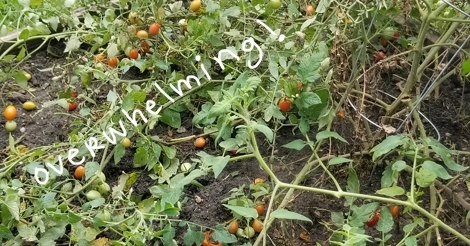 It should be noted that our two tomato plants did so well that they basically turned into vines and trees somehow, blessing with so many tomatoes, just way too many. Two plants! They crushed the little metal cages we put around them to keep them upright. After some brief internet searching for how to get started, I made sure they all basically had similar instructions, so that I could wing it. We cooked up a brine made primarily of vinegar and water, with some salt. It smelled like vinegar boiling, a not exactly delightful aroma for the house. 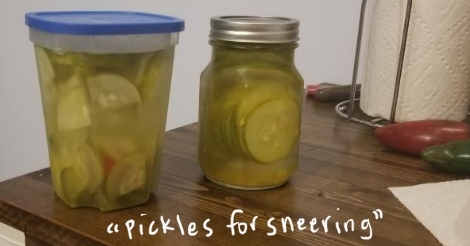 Since we had only small containers, we split the cucumber slices into two of them, added a few spices, and filled them with the brine. They sit, now, in our fridge. We tried some last night with a tomato meal — they are zesty!